Soak the dried beans in water overnight. After soaking, drain off remaining water, and rinse. In a large stockpot, cook the onion in oil over low heat until just beginning to soften, about 4 minutes. Stir in garlic, and cook for 1 minute. Increase the heat to medium, and add lamb; cook for 3 to 4 minutes. Stir in carrots and celery, and cook for 1 minute. Stir in tomatoes, and season with parsley, thyme, oregano, and with freshly ground pepper and salt to taste. Add beans and broth to the pot. Bring to a boil, boil for 5 minutes, then reduce heat to medium-low. Simmer, covered, for 1/1/2 hours, or until beans are tender. Rinse spinach, and then place in a saucepan. Place over medium heat, and cook until wilted. This will only take a short time, and you will not need to add more liquid to the pan. 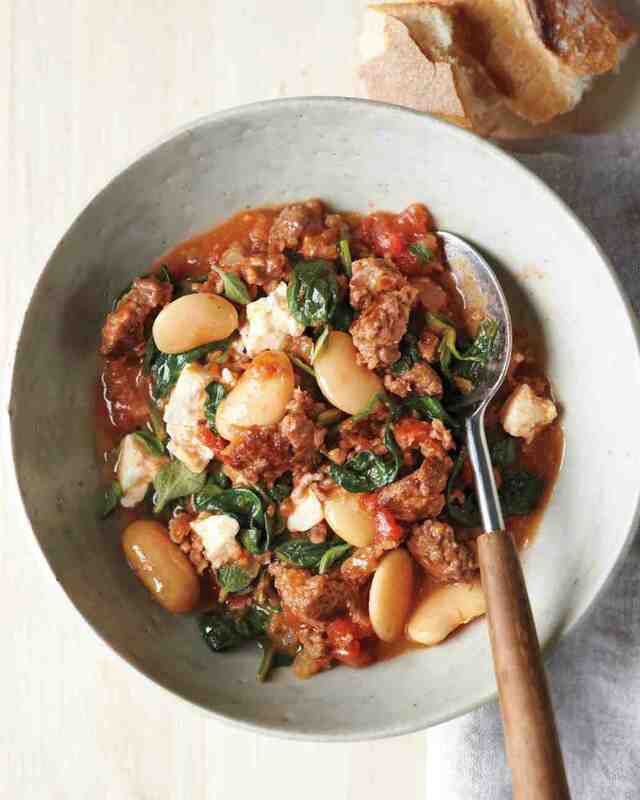 Top each serving of soup with wilted spinach and crumbled feta cheese.